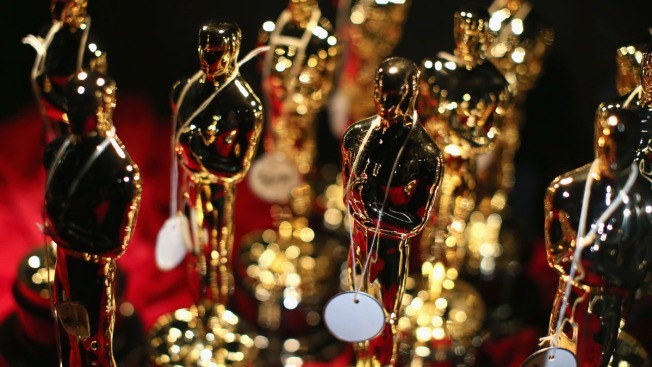 This March 2, 2014, file photo shows Oscar statuettes on display in Hollywood, California. The organization that bestows the Academy Awards says it is suspending plans to award a new Oscar for popular films at the 2019 ceremony amid widespread backlash to the idea. The Academy of Motion Picture Arts and Sciences says it will further study plans for the category. It wrote in a statement that it recognized that implementing a new award three quarters of the way into the year creates challenges for films that have already been released. The film academy announced the new category for "outstanding achievement in popular film" last month. There were immediate questions about what the criteria would be for a "popular film" and many inside and outside the film industry wondered how it would impact critically and commercially popular films such as "Black Panther." The superhero blockbuster has been cited as a possible best picture contender. "There has been a wide range of reactions to the introduction of a new award, and we recognize the need for further discussion with our members," the academy's CEO, Dawn Hudson, said in a statement. The 91st annual Oscars will be held Feb. 24 in Los Angeles. The ceremony will undergo some changes this year, with the academy planning to shorten the ceremony to three hours. In order to do so, it plans to hand out Oscars in six to eight categories during commercial breaks. The academy still plans to shorten the awards season by moving up the 2020 Oscars a few weeks to Feb. 9, 2020.